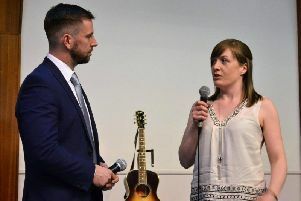 Aden County park is set to welcome back a pair of musicians who helped launch their new musical initiative for third instalment of the Music at Aden series. Aberdeen Sinfonietta will play Aden on Sunday July 3 between 4 pm and 6 pm. The returning pair of Bryan Dargie and Alison MacDonald will be joined by keyboard player Drew Tulloch. As the Aberdeen Sinfonietta Vivaldi Ensemble, they will introduce and perform sonatas by Vivaldi, Tartini, and Pergolesi. The Italian themed programme will also include arrangements of Italian music by Respigni, Stravinsky and Kreisler. Music at Aden aim to provide easily accessible classical, jazz and folk music.